Sciblogs | Salmonella…mmm! 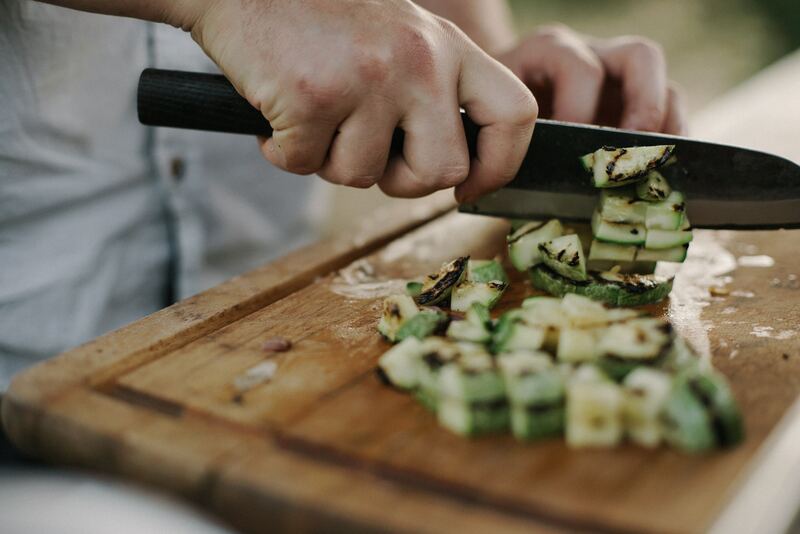 How good is your food safety knowledge? Salmonella…mmm! How good is your food safety knowledge? It’s swiftly coming up to that time again, where hordes of students return to the major cities for their tertiary education (not to mention flat initiations, couch burning, toga parties and dodgy drinking decisions). This time of the year also coincides with peaks in Campylobacter and Salmonella food poisoning cases among those aged between 20 and 25 years old. Food Safety Information Council consumer research shows young people are likely to have poorer knowledge of food safety basics such as washing hands, correct cooking temperatures, riskier foods and fridge safety. This is of particular concern as one of the part time jobs that young people are likely to take is working as a food handler. CLEAN! Wash your hands with soap and running water before handling food. Also, wash the dishes regularly and keep the kitchen clean and sparkling. CHILL! Keep the fridge at 5°C or below and clean it out regularly. Bring your takeaway straight home and refrigerate any leftovers within 2 hours and use or freeze them within 3 days. COOK! Cook poultry or minced products to 75°C in the centre. Be especially careful with your chicken. Be aware of the risk of raw or minimally cooked egg dishes. SEPARATE! Prevent cross contamination, especially between raw meat or poultry and other foods that won’t be cooked like salads. 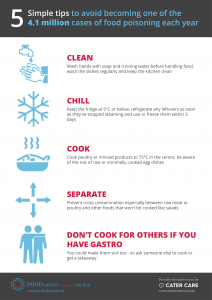 DO NOT COOK FOR OTHERS IF YOU HAVE GASTRO! You could make them sick too. It’s far better to ask someone else to cook, or get a takeaway pizza. 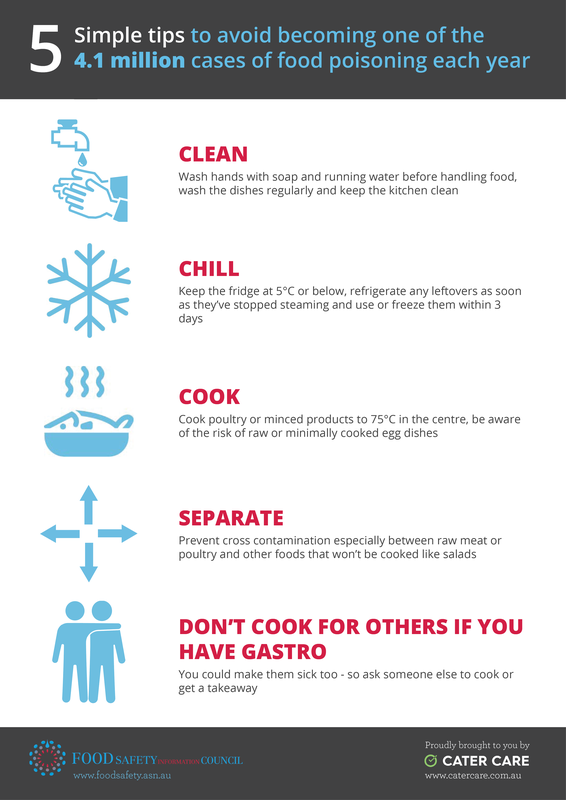 The Food Safety Information Council would like to thank Cater Care for developing this poster, which can be downloaded here.